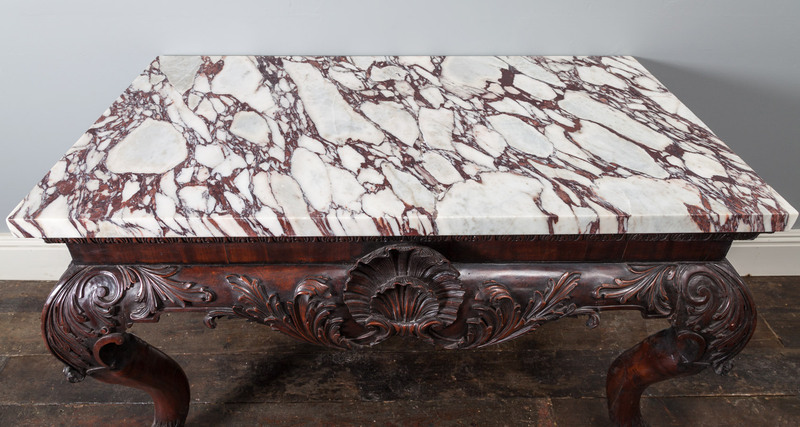 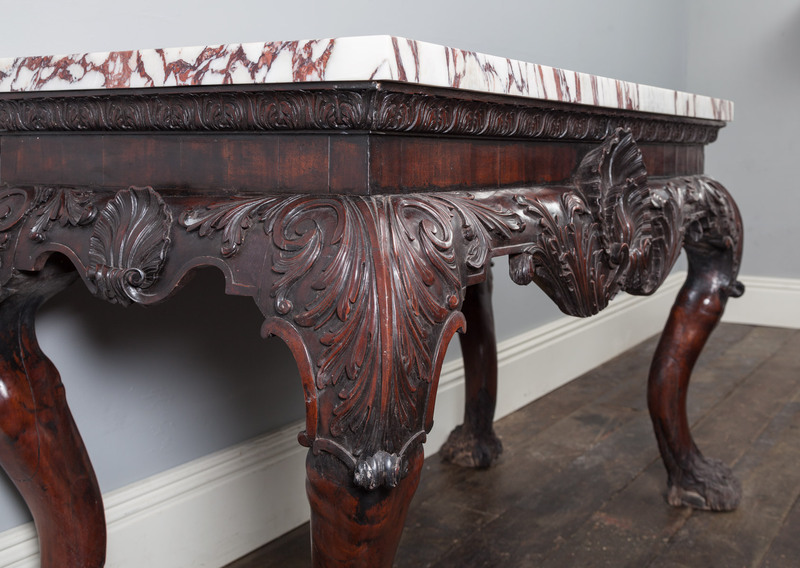 The plain veneered frieze with acanthus moulded cornice supporting the solid breccia violetta marble top. 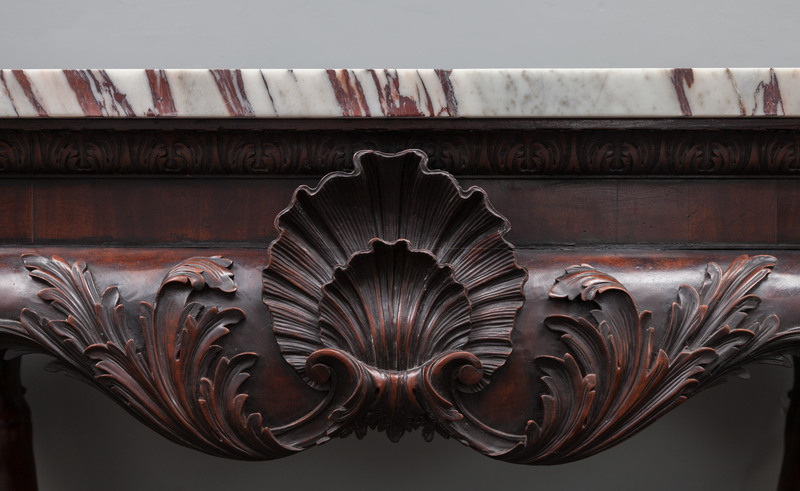 To the centre apron is a bold and beautifully carved double scallop shell cartouche, with similar smaller scallop shell cartouche to each sides. 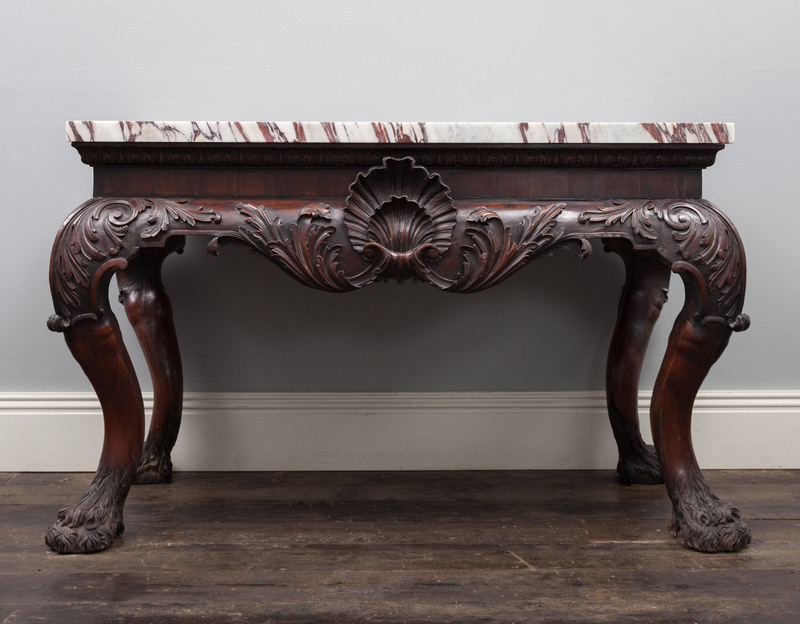 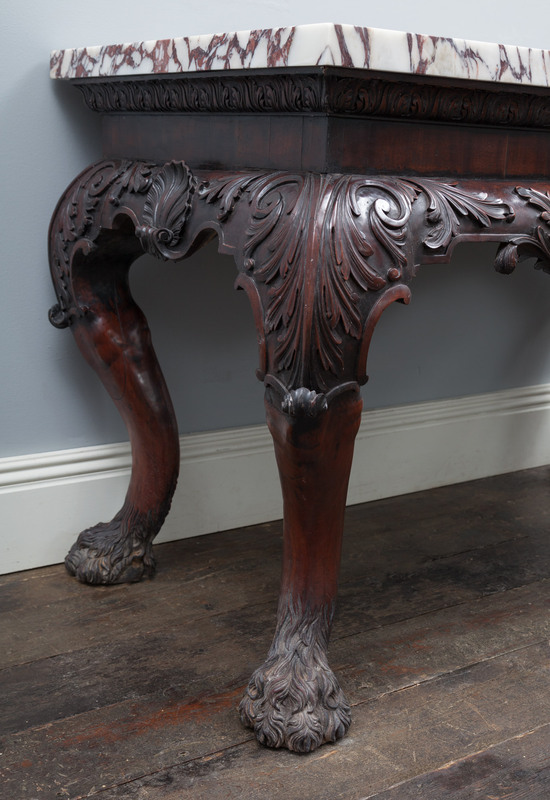 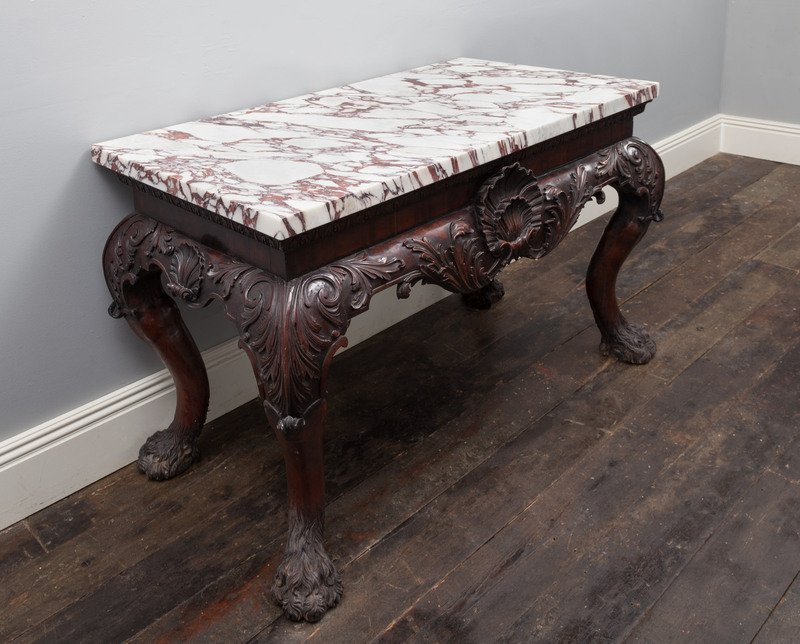 The flamboyant cabriole legs with acanthus carved knees, terminate with hairy paw feet. 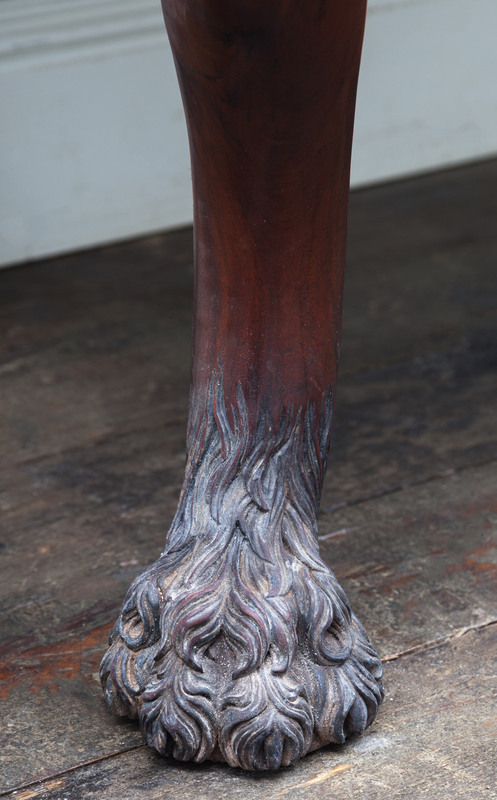 Photographed in original condition, before final clean and polish.